Braamfontein Alive: Shots fired: People in my community! Shots fired: People in my community! 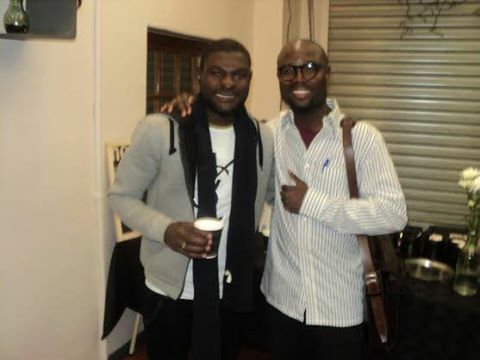 Sean Emmanuel is another brother in my community doing positive things in order to bring about change in Braamfontein. 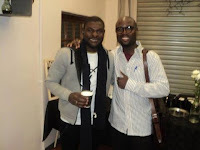 Braamfontein Alive met with the upcoming artist at our office in order for him to share his success story with the rest of the world and make his new endeavour known to the world. A. My names are Emmanuel Asek and my artist names are Sean Emmanuel. I was born in Cameroon; central Africa. Four years ago I moved to South Africa and being in a new environment is quite challenging but is a good experience all together. Q. What was your intention relocating to South Africa? looking for more opportunities to serve God better, discover more and do all the stuffs God has called me to do. Q. Can you share your opinion about South Africa since moving in? A. Is a beautiful country. At first, it was difficult for me to settle down as a foreigner in terms of securing a job and again South Africa is peaceful far away from civil war and conflicts. The people are beautiful and easy to make friends with and are for real. In general, South Africa is a wonderful place to visit with lots of great and vibrant colours. Q. So what’s new about you? A. I am very much into my music career nowadays. For the past few months, I have been busy working on my first album since I left my full time job as an area manager in one of these sports bets companies in Johannesburg. A. I have always been involved with music since I was young. I have this undying passion for music writing and performance and I'm always on the lookout for opportunity to showcase the talents or gifts God has given me. So when I left my job I decided to spend my free time cooking something new in the studio while still employed at a new company that pays my bills (Fresh Bristle). So I find it very fulfilling to be able to come back to what I am passionate about. Q. So how should I put it: Music part-time or full time? A. I'm employed full time with Fresh Bristle and trying to work my way up as a brand ambassador for their product(s). Q. How can you define your genre of music? A. I do Christian hip-hop. As Christians when we party we craze for contemporary hip-hop music and on this point I identify a need for Christians to who love hip-hop. Therefore, I decided to create something out-of-the box. Something they will be able to relate with a Christians. I don’t think I've listened to an African gospel rapper before and if there is I am not sure we are many. Q. Where do you get your inspiration from in terms of your model or idols? A. I will start by saying that I'm intrigue with the way 2Pac, Rick-Ross and Birdman do their things. I like their style of rap, rhymes but I really admire Trip Lee and Lecrae as I draw lots of inspiration from this duo. For instance, Trip Lee is a pastor. I admire his work, talents and this is very motivating for me that I would like to step into their shoes. Q. So what’s your latest release? Q. When was it released? A. We finished with the recording on 21-02-2016 and it went on air officially on 04-03-2016. People can now listen and download it on these online platforms: YouTube, SoundCloud and we are working to make it available on I-tunes and SongCast. Q. How are the turn-ups for your music since the day it was released? A. Is very inspiring. The feedbacks are encouraging. People telling me that they love and enjoy it. In 2 days of release we had 122 views on YouTube, 12 likes and 3 comments not to talk of other online music platforms. These statistics are not bad at all as a new upcoming and recording artist. Q. Do you have a platform where people can download your music and make it their phone ring tune? A. People can simply go to YouTube or SoundCloud and do that. They can also visit; http://datafilehost.com/d/d5242bdd only for android users. Q. Are you this alone or do you have a team? A. I have a strong team that consists of my manager (Derrick Da Don). He’s part of Vault Money. Also Fresh Bristles are in partnership with my music. Mike Shamba (An Author), Puni (Producer 1) and Musa (Producer 2). Q. We noticed a lot of social media buzz about your single. Do you have a team that does promotion and marketing for you? A. We have a strong team so for now we are doing the promotion and marketing ourselves until we sign a contract before we can be able to come up with a team designated to promotion and marketing. Q. 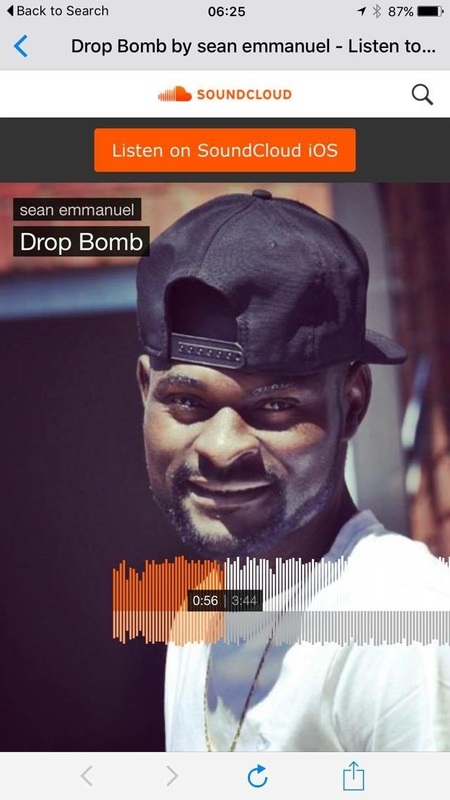 What should your people or fans expect after Drop Bomb? A. People should expect Drop Bomb’s video and a complete album afterwards. 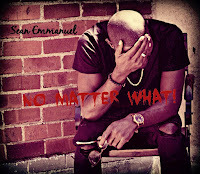 Actually, we will be releasing my second single titled “No matter what!” This song was done in four (4) languages; English, French, Zulu and Cameroon Pidgin-English. People should be on the lookout. Q. When should they expect “No matter what”? A. By end of March after the release of Drop Bomb video. We want the video to be on MTV, Channel O and people in Cameroon should expect it on ESTV and CRTV. And for bookings, contact my manager on: 073 961 7558.